Harley-Davidson Service and Repair Information. Full details, clear images and technical data to let you service or rebuild your 2006 Harley-Davidson Dyna motorcycle like a pro! 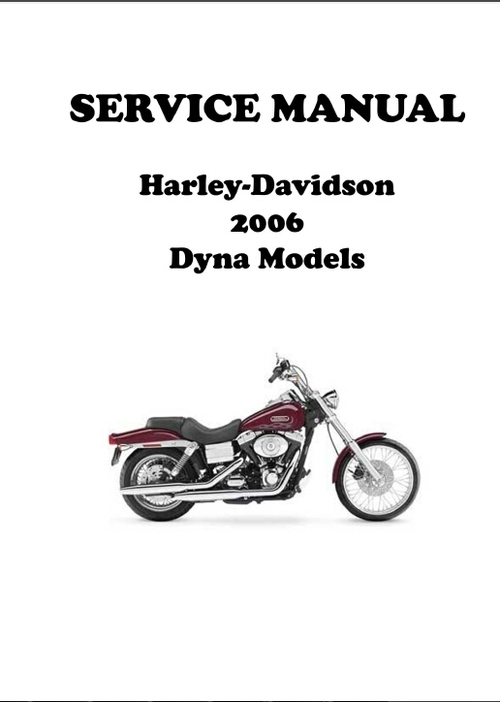 This manual covers all the following 2006 Dyna (FX) models! If you're not fully satisfied with this product we offer a 100 Money Back Guarantee! This file is sold by techdepot, an independent seller on Tradebit.